Tensions in the South China Sea have grown over the past few years because of a confluence of geopolitical and resource competition, mixed with an increasing domestic political debate about sovereignty and a corresponding increase in national assertiveness.1 The frictions that have surfaced since about 2009 (or, to be more precise, re-surfaced) are complex, dangerous, and unlikely to be resolved soon. While these tensions appear manageable and are unlikely to trigger war (except through miscalculation or accident), they are trending in an unfavourable direction. However, there are several policy options available to leaders both in the United States and China that can mitigate the tensions and help reduce the chances of conflict in these critical seas. 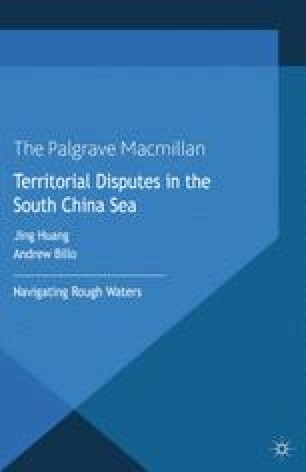 This chapter focuses on the potential for cooperation and specific ideas for advancing US-China, and generally regional, cooperation in the South China Sea. The security situation in the South and East China Seas has deteriorated in the past few years, as disputes have multiplied and distrust has deepened. China’s assertiveness is growing, tensions in each of the seas have spilled over and produced suspicions in the other, regional institutions are not facilitating cooperation, international law is being ignored and Sino-American relations appear to be unmoored, with competitive elements outweighing shared great-power interests. Wan, W. (15 March 2013). China’s New Foreign Team Will Reflect Rising Tensions with us, Japan. Retrieved 27 November 2013, from The Washington Post [online]: http://articles.washingtonpost.com/2013–03-15/world/37726347_1_foreign-policy-foreign-minister-foreign-affairs. Whaley, F. (20 May 2013). Taiwan Demands Apology from Philippines for Fisherman’s Killing. Retrieved 27 November 2013, from The New York Times [online]: http://www.nytimes.com/2013/05/11/world/asia/taiwan-demands-apology-from-philippines-for-fishermans-killing.html?_r=2&.&.